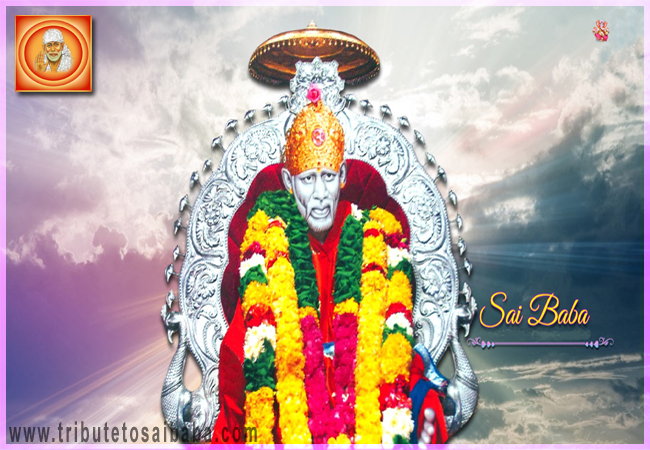 I am Milina and I believe in Sai Baba for a long time. I trust Sai deep from her heart and I have been doing Sai Vrat Pooja and reading Sri Sai Satcharitra since a very long time. One day, I read a chapter of Sri Sai Satcharitra and got a paragraph, which means, “if you remember Sai Baba deeply from your heart, you will see Sai Baba in real, and I realized Sai Baba in my life. One divine day when I was doing fasting for Sai Baba on Thursday (Baba’s day). After praying at home, I was getting ready to go to Sai Baba’s temple which is about 5 km from my home. Just before leaving for temple, I saw one old man seems like Sai Baba, approached me and asked for money and food. His looks were exactly same as our Sai Baba and anyone can easily correlate his face with Sai. I told him that I am going to Sai Baba’s temple and gave him 20 rupees (Indian currency). Also I told him to come again after half an hour for food, as I will be back by that time. The old man said, “don’t worry child, I am happy that you invited me for food, and that’s enough for me and he gave blessings to me”. Once I reached temple, I saw same old man sitting outside at temple gate. I was almost shocked to see this, as I was on my bike and he was without any vehicle. I brought some red roses and through to give him a rose. I was about to approach him; suddenly, my bike keys slipped from my hand. When I collected my bike keys from the ground; and turned back to him again; I saw that the old man is disappeared. Then, I realized that he was none other than Sai Baba. I felt blessed and got the message that Baba is around me. Since then, Baba is coming in my dream regularly and give blessings to me and my family”.